Because Parents' Day comes in the height of the summer season, it's a great time to send a vibrant bouquet of fresh summer flowers to brighten up their home. Surprise your parents, new parents or Grandparents with a vibrant bouquet of fresh flowers! 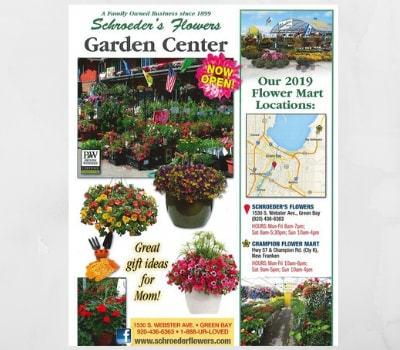 Schroeder's Flowers can help you select the perfect arrangement, including plants, roses or modern bouquets. We also deliver to Green Bay, WI or Nationwide! Flowers make the perfect gift for parents!